I have been testing out various note taking apps for iPad Pro since I got it about a month back. There was GoodNotes, Penultimate, Nebo etc. 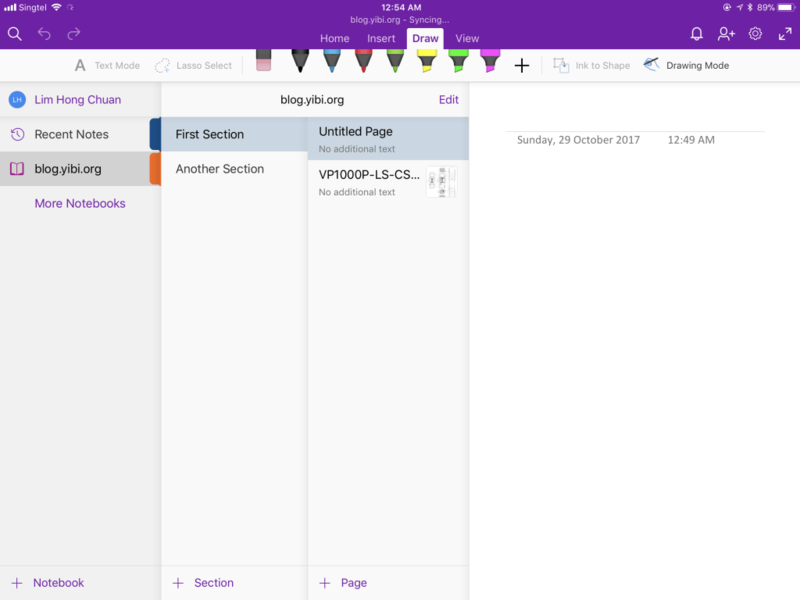 But in the end I settle for the most unlikely app – Microsoft OneNote. So for a notebook app the first criteria for the app is course to work like a notebook. As you can see, the layout resembles our notebook where we can have the main notebook with sections and tabs. You can have multiple notebooks for different purposes. And as you can see from the drawing above, I can add the different colors and tips of pens and highlighters into the menu so I can switch colors conveniently. The handwriting portion is very impressive. I like it that I can write anywhere. Even for notes that are type-written, you can switch to the drawing mode and write things over it. And my favourite part has to be inserting of PDF print out. After inserting the printout, I can write and highlight on the PDF file. And add additional notes after the PDF. This has proved very useful during some of my discussions when I meet my clients. I’m in data centre design and build now, so we look at a lot of floor plans and designs. We can scribble on the PDF, write additional notes etc. The whole page can then be exported and shared as part of the meeting minutes. The whole plan can also be sent to my draughtsmen after that with all the remarks etc. The irony about using OneNote is that I gave up using it on my office laptop and used Evernote instead. On the PC Evernote is more user friendly and intuitive. 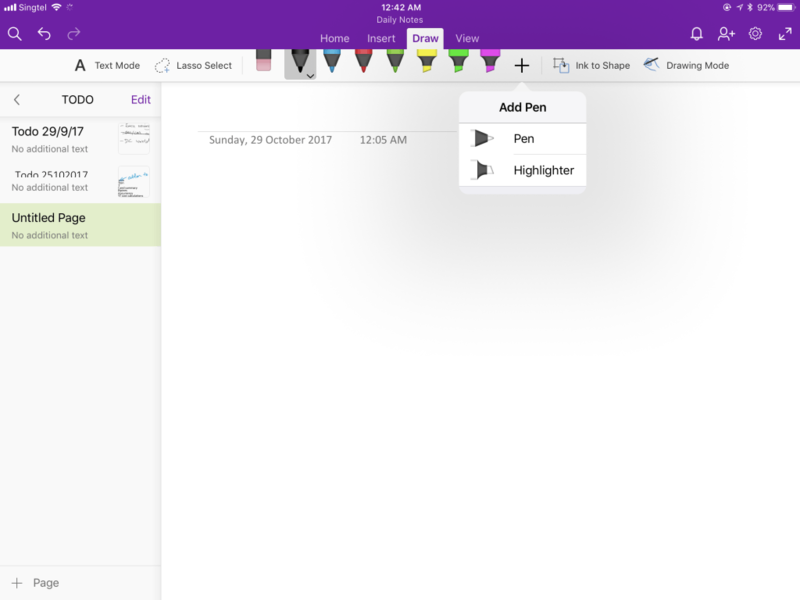 But on the iPad Pro, I think OneNote works really well! The PDF printout for example, didn’t work too well on the PC. In fact it didn’t have much use, until you use it on a tablet. The only thing now about OneNote is that you need a Microsoft license or Office 365 license. For personal usage, I don’t think people will sign up for the service. That’s where people will still stick to Evernote or other note taking apps. But for work, I must say that OneNote is really useful.